Once you get your WordPress site set up to start selling products with iThemes Exchange, it’s time to get down to the work of making satisfied customers (the heart of a successful ecommerce site). These 10 simple tips for making your WordPress ecommerce site a success were pulled from our recent ebook, WordPress & Ecommerce, a Simple Guide for Selling Products Online. Use them as a checklist for reviewing your current site and then make a list of what you can easily implement. Small improvements like these can make a huge difference in your overall customer experience, and ultimately, the success of your WordPress ecommerce site. High quality, zoomable product images from multiple angles are a must. One of the frustrations of shopping online is you can’t always see what you’re getting. Having great photos will help minimize returns and complaints. To see a great example of product photos done well, check out Warby Parker. Their “see these frames in action” section offers a chance to see how frames fit by providing interactive rotating images of the frames on a model. Take it a step beyond photos and offer video of your products. Give your customers a bigger, better view of what they’re buying. To get some inspiration, check out the Pencil by FiftyThree sales page. 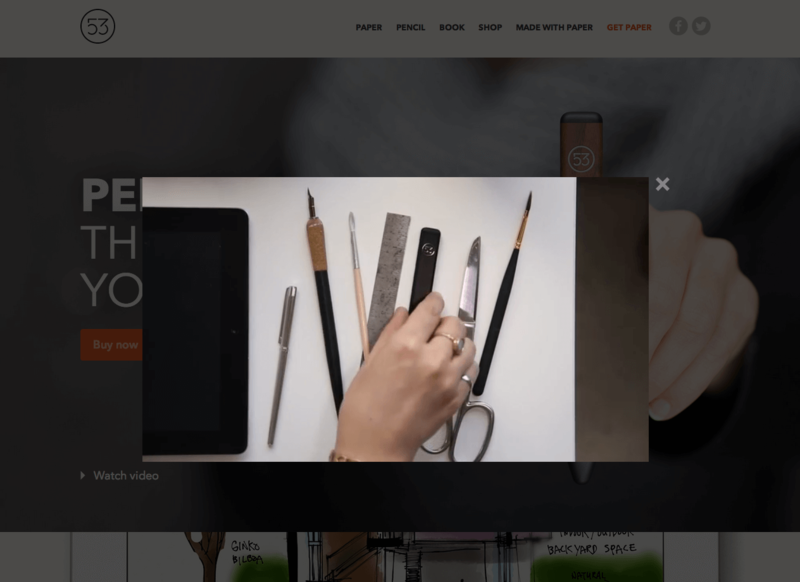 Their sales video does an incredible job of helping you imagine what it’s like to use and interact with the product. Your product descriptions need to be well written, engaging and informative. Don’t just stick with the dull copy from a manufacturer. While detail is good, don’t make them too long. It’s still a product description, not a blog post. Check out Woot.com for examples of funny (but informative) product descriptions. Write titles as people would search for them and you’ll get an improved rank in search engines, plus better sales. 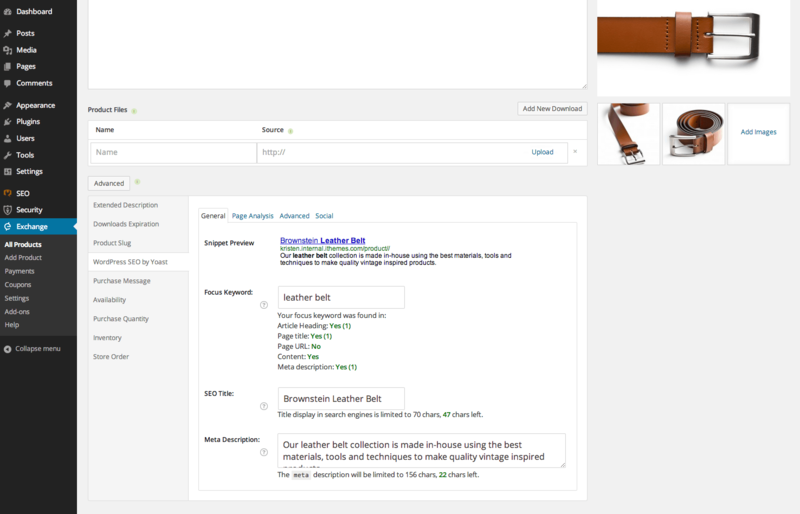 Using a plugin like WordPress SEO by Yoast allows you add a focus keyword for individual products and then verify the way your product title and description will look in search engine results. After you’ve installed the plugin, the settings will be available in the Advanced settings section of your Exchange store products. Instill confidence by having clear, easy to read and readily available policies, FAQs and procedures regarding returns, defects, items that never arrive, etc. You want to put people at ease so they’re willing to do business with you. 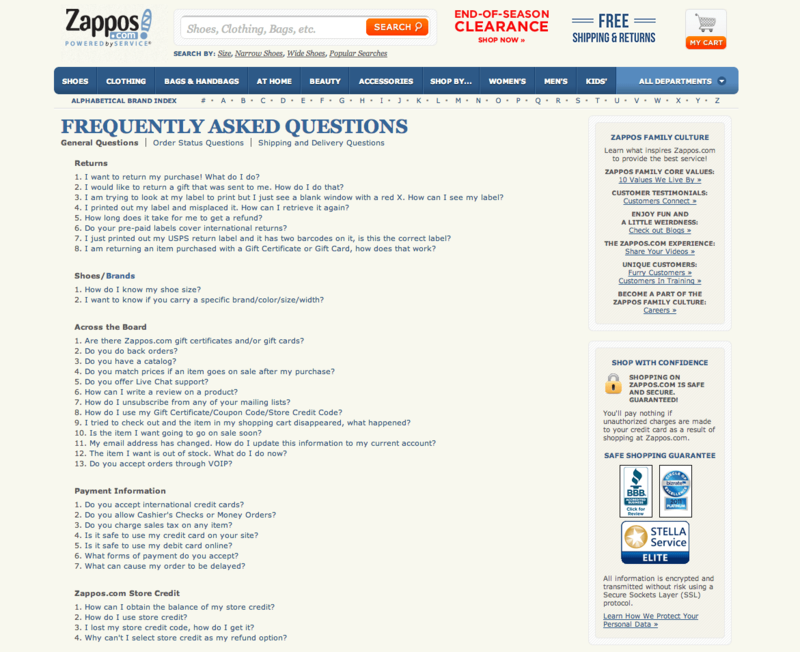 Zappos.com is famous for their return policy — which is clearly explained on their FAQ page. You may not be able to be as generous with returns as Zappos, but you can definitely make your policies clear and easy to find. Registration needs to be simple, quick and voluntary. Offer an incentive when they do register (it could be as simple as $1 off their current order). 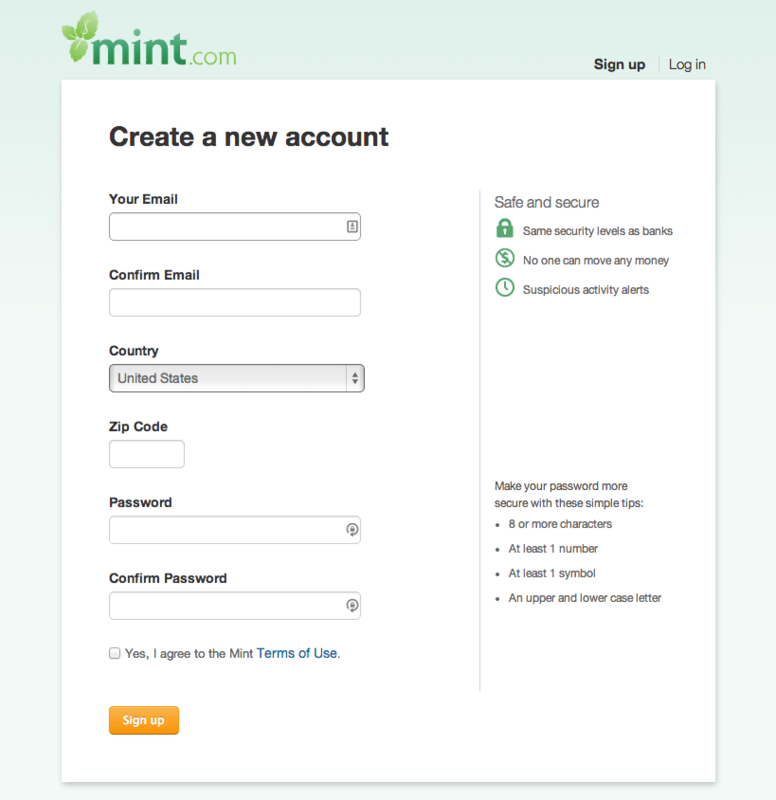 Mint.com does a great job of providing a simple registration form with safety and security assurance icons in the sidebar. The checkout process shouldn’t drag on and on. Make it short and quick. Only ask for what you need to complete the process. Some stores like to put all the options on a single page and others like to break it into a few steps. But keep it short and simple. Using Stripe as your payment gateway makes the purchase process incredibly quick and simple. Stripe is so great that we offer the Stripe Add-on for iThemes Exchange for free so you can make your store’s checkout process easy. How can customers contact you if they have a question? Make contact info clear and easy to find. 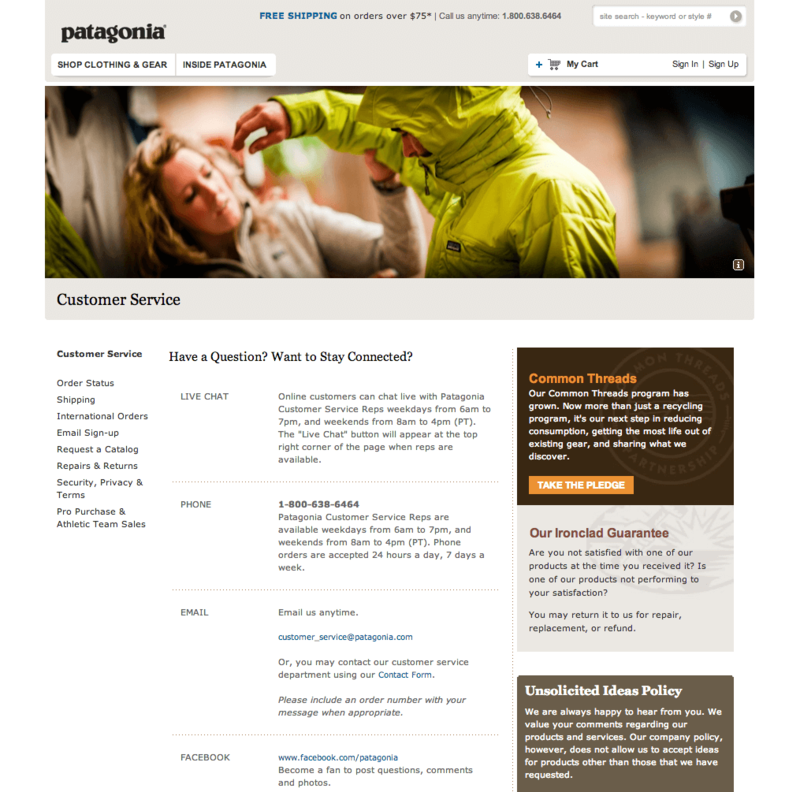 Patagonia offers a single page of contact info for customer service that includes live chat, phone, email and links to their social media profiles. You need to answer questions as soon as possible. Customers are ready to buy, but they’re waiting on you to answer their questions. Don’t make them wait. Also, make sure you take repetitive customer questions as hints for information that needs to be changed or added to your sales pages and FAQs. 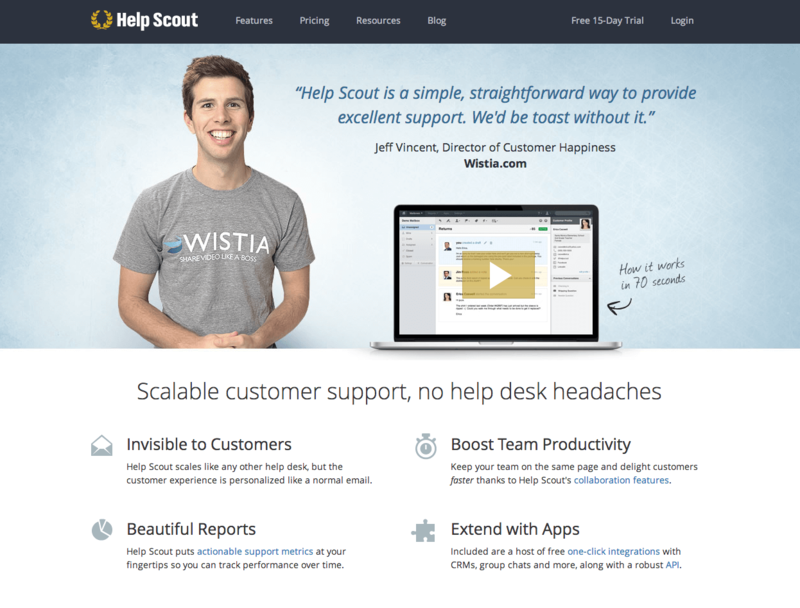 Check out companies like Help Scout, a help desk software that can help better manage customer questions and support. They also offer tons of great customer service advice and resources. Email is still the best way to increase engagement with current and potential customers, so be sure to include a newsletter signup on your site — in sidebars, at checkout or consider a pop-up (but carefully!). Use email newsletters to communicate new product releases, features and sales and offer incentives to subscribe like free ebooks or coupons. 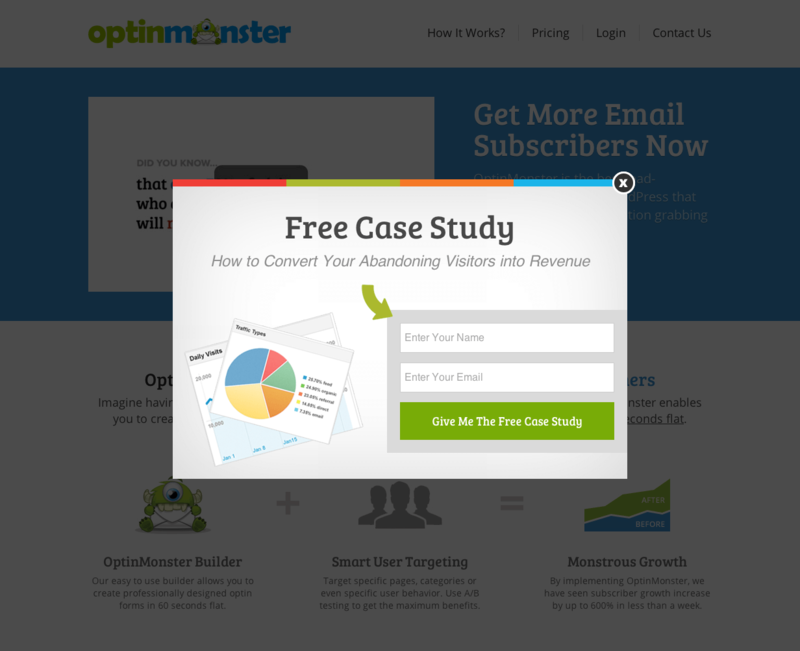 Check out the OptinMonster plugin for WordPress or use embeddable forms from your MailChimp lists. iThemes Exchange also offers several Email Add-ons to link up your account registration pages with an option to subscribe to your newsletter. Try different things and see what works for your site. 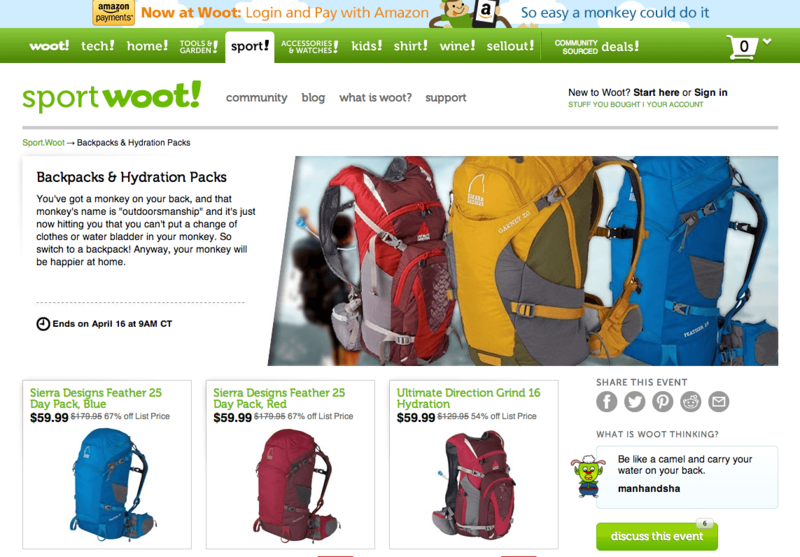 For example, one site had a 21% boost in conversions simply by changing the button color from green to red. Just remember: What works for one store won’t necessarily work for another. So you’ll need to take these tips and try them out yourself. Experiment. See what works. Discover your own best practices. 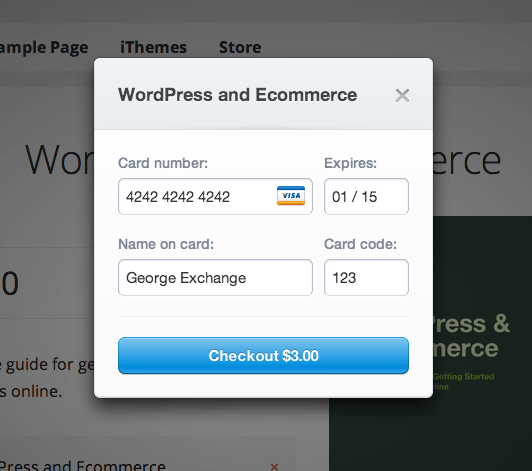 Download iThemes Exchange and get started with your WordPress ecommerce site!